to get the most of your benefits. and the South King County area since 2012.
individuality and freedom to be themselves. Through providing high quality, client-centered and affordable home care services, we enable our clients to lead dignified and independent lives in the comfort and safety of their own homes. Their individual needs are carefully assessed, understood and met through the selective assignment of qualified, trustworthy and compassionate personnel. Our companion care caregivers can provide travel companionship, light housekeeping, and the interaction seniors need to help them feel more connected. The only thing you should be focused on after a surgery is getting better. Our care services help with nurse delegation, coordination of doctor visits, and management of transportation needs. We develop a care plan that coordinates with all medical professionals involved, so there is consistency in the disease management as well as great personal care. Thanks to changes in laws, more people are qualifying for VA Benefits now. Wiser Home Care Services can help you or your loved one navigate the process to ensure you maximize your benefits. Needing help is a normal part of aging. Our personal care service, which includes bathing, dressing, incontinence care, and pet care, is our most popular service. We understand the challenges of caring for a loved one with Dementia, Alzheimer’s or another chronic disease. Our caregivers are carefully selected & receive special training to care for seniors with these needs. Whether you need help with meal prep, shopping, or just need a break, our respite care allows you to leave home knowing that your loved one is safe. Utilizing our years of in-home care experience, our trained safety experts will walk through your loved one’s home to evaluate its safety and help establish an injury and fall prevention plan. Our caregivers are totally committed, highly qualified, and carefully selected individuals who are thoroughly screened, background checked, bonded, and insured. Our typical caregiver profile is a Certified Nurse Assistant (C.N.A.) with experience as a caregiver. 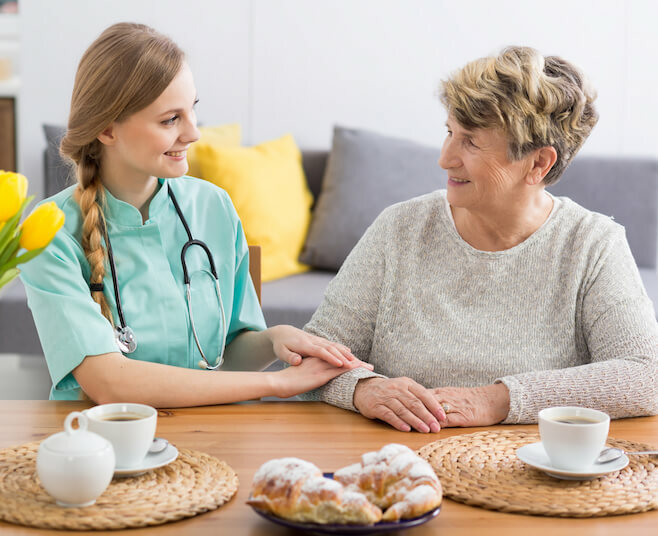 In the Wiser Home Care Services blog, we provide a fresh look at current caregiving issues as well as share caregiving tips from our own personal experiences. Don’t take our word for it, though. 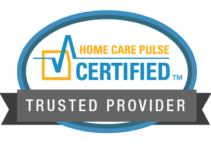 Check out what our clients have to say, and learn more about what makes Wiser Home Care Services the premier provider of in-home senior care in the greater King County region. I would recommend this agency to anyone who may need the services. It is so important to have good care for your elderly loved one and Wiser Home Care Services has done a fantastic job providing that for our family. I highly recommend Wiser Home Care because of the communication and compassion. They were so comfortable for me to talk to and have in my home. It just felt right and I knew professionally that they had the proper background. Wiser Home Care Services’ caregivers are always on time, they do what they say they will do, they are clean, and they take care of the client. The office staff has stepped right up and takes care of my concerns immediately. Wiser Home Care Services is very consistent and reliable. The communication with Wiser Home Care Services is great. The caregivers are very sympathetic. I am very very pleased with the service from Wiser Home Care Services.